If you want the most durable sign for your outdoor message, metal signs will last years outdoors and will make quite the impression at company events, presentations, or construction sites. Rigid Coroplast is typically used for yard, parking, real estate, and election signs. They are waterproof. If utilizing H-Stakes, place your Rigid Coroplast order with the flutes vertical. 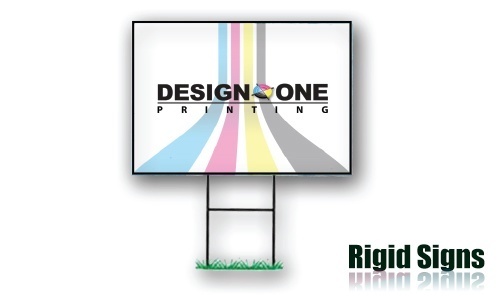 Call us today to order your rigid signs.